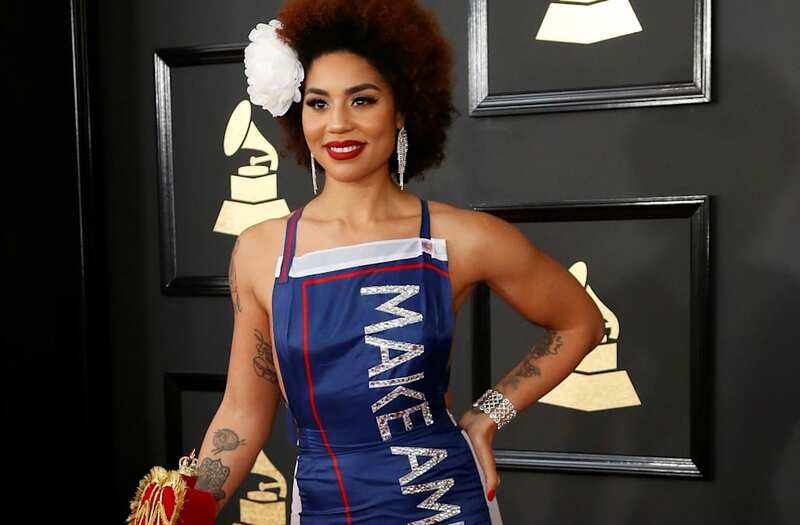 Singer and Trump supporter Joy Villa has filed a sexual assault charge against President Donald Trump's former campaign manager Corey Lewandowski, the Associated Press reported. Villa said she filed the complaint against Lewandowski for hitting her twice on the buttocks at a gathering at Trump International Hotel in Washington, D.C. the day after Thanksgiving. She is meeting with detectives next week about the complaint. Villa, who made a splash at the Grammys by wearing a bright blue dress emblazoned with "Make America Great Again" and "Trump" in silver, said she was hesitant to come forward, fearing backlash. However, she called Washington's Metropolitan Police Department after her friend, who witnessed the attack, spoke publicly about the incident. Villa told AP several friends told her to come forward. Villa, who announced on "Fox and Friends" that she is considering a run for a Florida congressional seat, said Lewandowski hit her "extremely hard" even after she told him to stop. Villa said it was "disgusting and shocking and demeaning." "I didn't know him at all," Villa told AP. "I only knew him by reputation. He broke my trust." At first, Villa thought Lewandowski's actions were sexual harassment, but police told her touching another person anywhere sexual in nature qualifies as sexual assault, which she says she was told is a misdemeanor. Lewandowski has had trouble with the law before. He was charged with a misdemeanor for battery after an altercation with a female reporter in March 2016 at a news conference in Florida The charges were later dropped and he was fired as Trump's campaign manager in June 2016. "I did nothing wrong," Villa told AP. "I realized if he's not going to respond or apologize to me, I think it's the right thing to do."